Off-duty detective sergeants Bill Dix and Steve Petersen find themselves in the middle of a jaw dropping firefight… in broad daylight...on their way to watch a baseball game. The two can’t believe their luck as this is the second vacation they have taken together that’s turned out horribly wrong. There’s plenty of finger pointing and speculation regarding their involvement in a complex investigation including drugs and gun smuggling for terrorist cells...all within the United States. Dix wants to head back to Florida, while Petersen seems to have struck up a relationship interest trying to rebound from an ugly divorce. Whatever it is they have stumbled upon, dead bodies are showing up and Dix gets the sense no one is telling the truth. Dix and Petersen join forces with the locals and try to save one man from being hunted down and work frantically to figure out who’s hunting him and why. Good, evil, and everything in between plague the detectives throughout the case. Who ends up surviving? And, when Dix crosses paths with the mastermind, do either of them live long enough to talk about it? 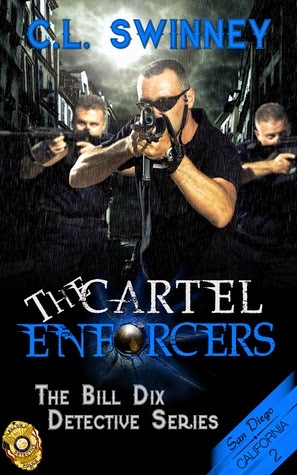 Gripping and fast paced, the second novel in the bestselling Bill Dix Detective Series, The Cartel Enforcers, starts out quick and finishes strong. "The author is donating proceeds from the sales of this novel to the Fakava Family in memory of his mentor, Heikoti Fakava. 'Alu ka he 'ikai ngalo koe." C.L. Swinney does not disappoint in this follow up to Gray Ghost. Another very well written and high octane crime fiction novel that is as much realistic as it is entertaining. We learn more about the struggle law enforcement goes through in San Diego trying to deal with drug cartels from Mexico. Its fiction I know, but it could very easily be true crime as it is explained so well by an expert. I enjoyed reading about Dix and Peterson's partnership and how it is evolving to a new level of trust. Also I especially enjoyed how Dix encouraged other junior law enforcement members to step up and take charge. Sounds like I'm developing a crush on my fave fictional hero. 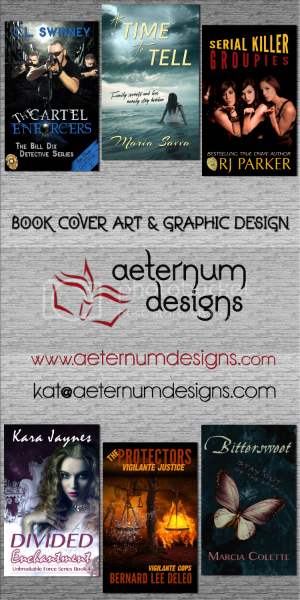 :) Looking forward to Book #3 in this series Sin City Assassin next!